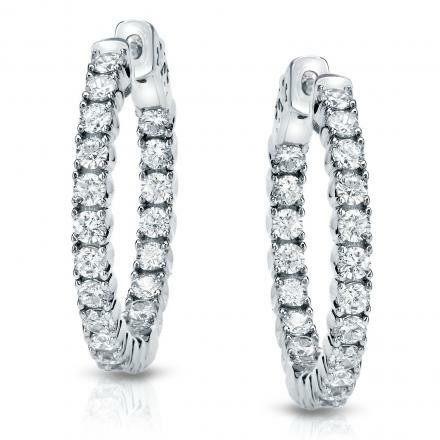 These remarkable diamond hoop earrings feature 0.50 ct. tw. 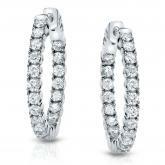 round-cut diamonds in 4-prong u-shape setting. 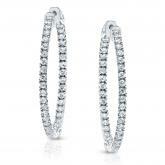 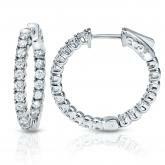 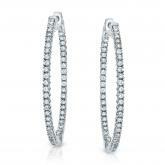 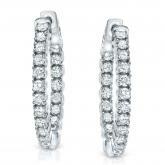 The hoop earrings are available in your choice of 14k white or yellow gold and fasten securely with safety locks.